it is entirely configurable to meet virtually any production setup and workflow. 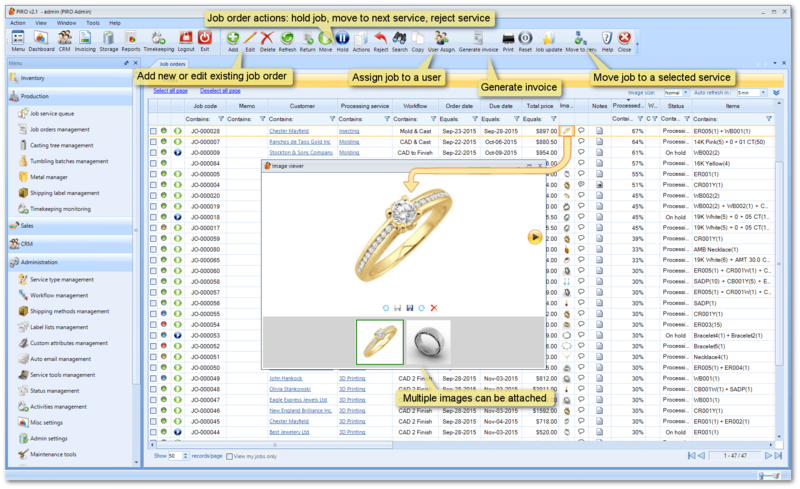 Job orders are displayed in a clean, visual manner that allows effortless understanding of the presented information and fast, intuitive interaction with the user. 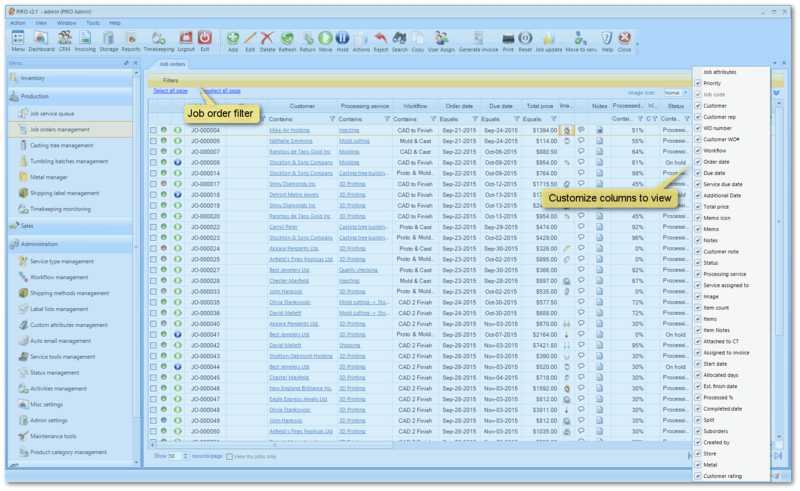 Job orders are sorted automatically based on priority or due dates. PIRO will automatically instruct your users on what they need to do on particular jobs, based on the workflow rules set up in the system. 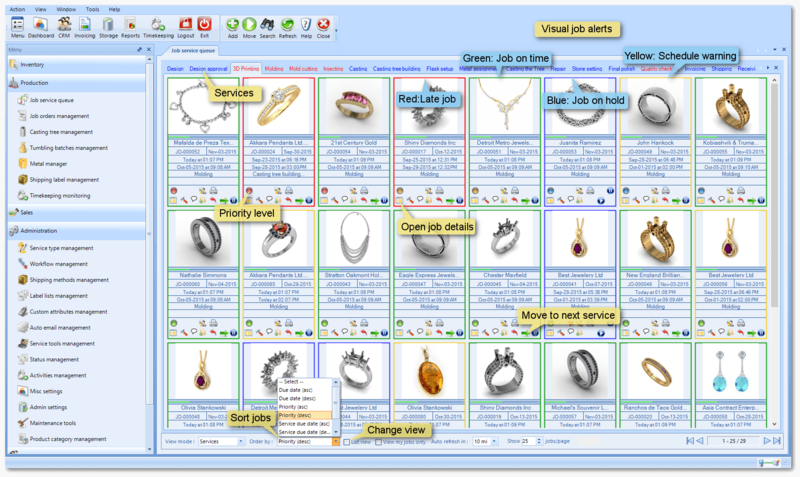 Restrict the view of jobs based on user permissions: your designers will only see jobs that need design work while your jewelers will see only the jobs that need stone setting, repair, or other jewelry work. Move, search and assign jobs to users by scanning barcodes printed on the job envelopes or job documents. Avoid lateness of completion of job orders by receiving timely alerts, visually highlighted in yellow (warning) and red (late). 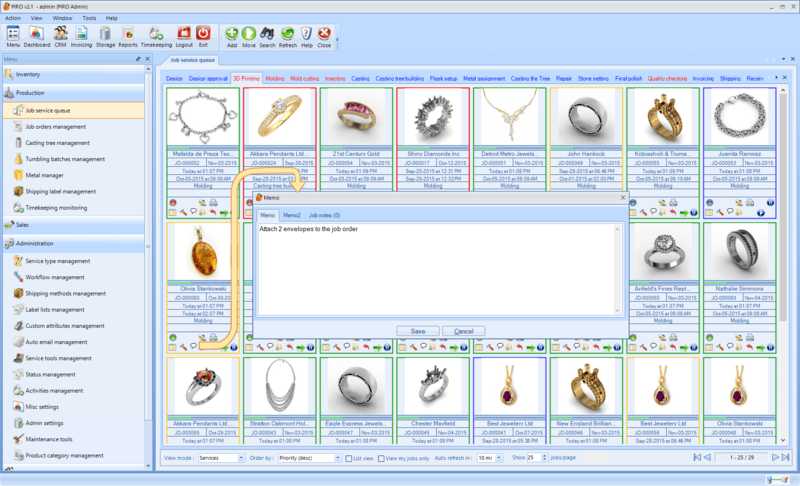 Add as many images or notes as you want to any job order at any time during the processing of the job. You can even use any generic USB web camera to take the pictures – just plug in a camera a snap the pictures, right from PIRO! 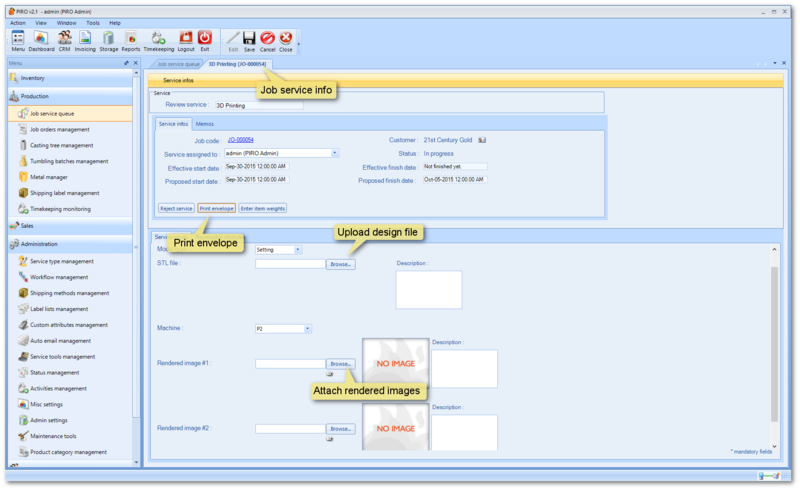 Or just drag & drop any file image onto the job order form. 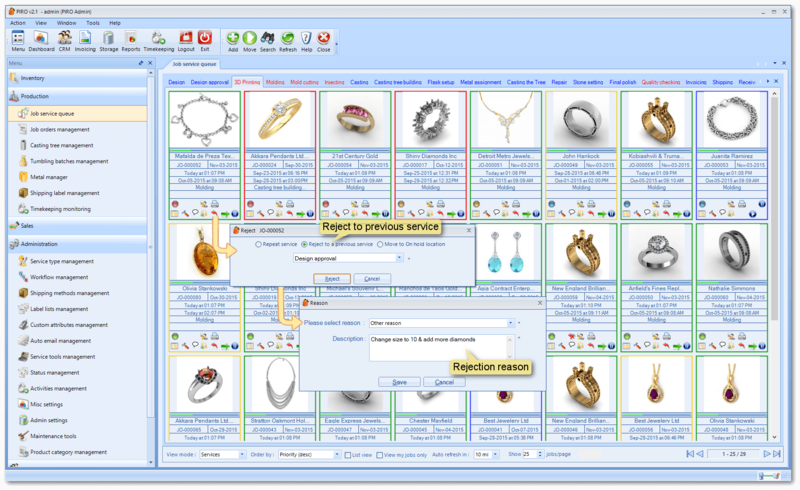 Organized file storage - any file that has been assigned to job orders (images, CAD files or other documents) can be automatically published to a shared network storage in a well organized way (subfolders by customers and job code). Thus these files are searchable and easily accessible by your staff, both in the system and on an external storage drive. 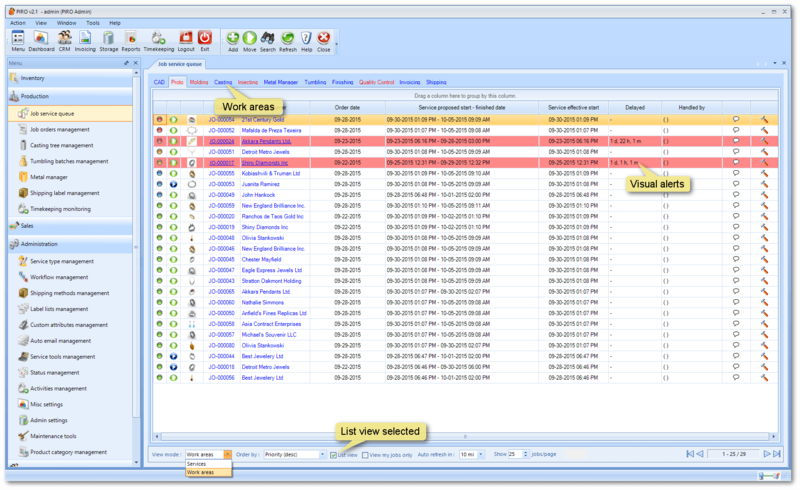 Touchscreen Optimized Mode: this mode reorganizes the layout of specific forms and functionalities (such as job Routing) so that PIRO may be seamlessly used in touchscreen equipped working environments. Export data to Excel: sometimes it can be useful to have the PIRO data you’ve been working with stored in a simpler format. 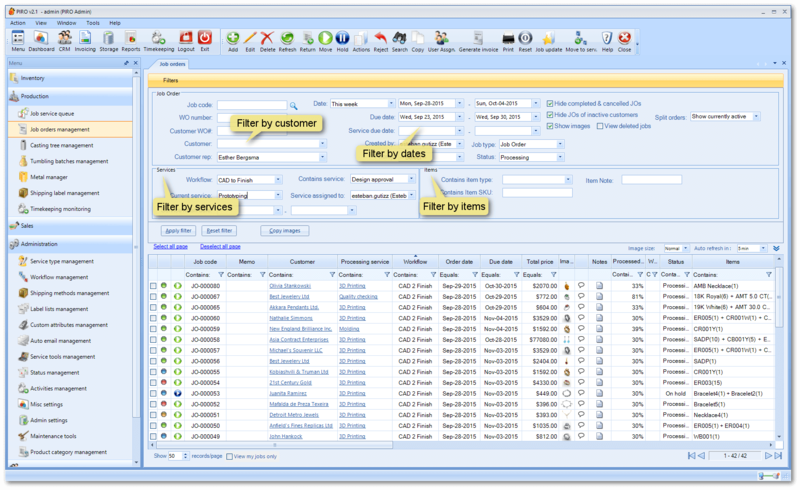 For this reason, we’ve made it possible to export grid data, exactly as you see it in PIRO after using any of the custom filters, directly into an Excel format using the Export data to Excel feature. This makes it possible for you to share PIRO information with others who may not be familiar with PIRO. Excel sheets can be easily converted to other formats such as .csv if necessary. Rich filters: PIRO’s modules include filters which are tailored specifically for sifting through the information from their corresponding modules. This allows users to very accurately filter the data based on complex criteria, ensuring that the desired information is always at hand. User manual: PIRO includes a detailed online user manual related to all its individual modules and forms, providing users with additional in-depth descriptions of their functionalities. This is the center of the production floor as it displays the active job orders grouped by the processing services. 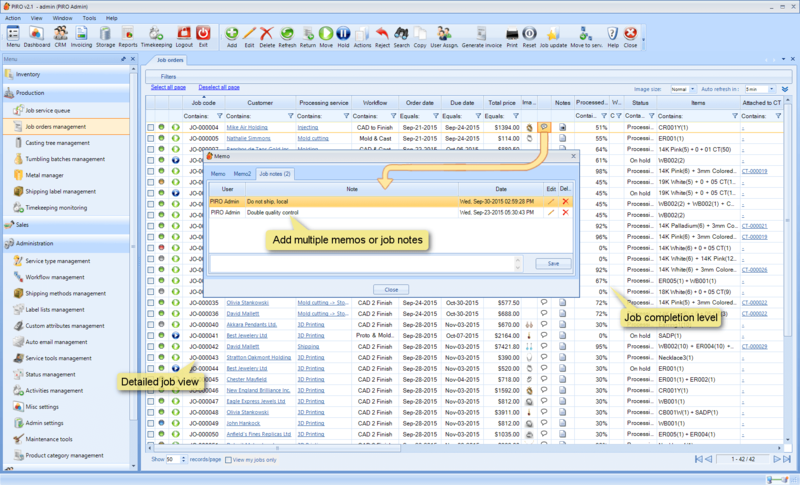 The job routing engine of PIRO is summarized on the Job Order Management form. 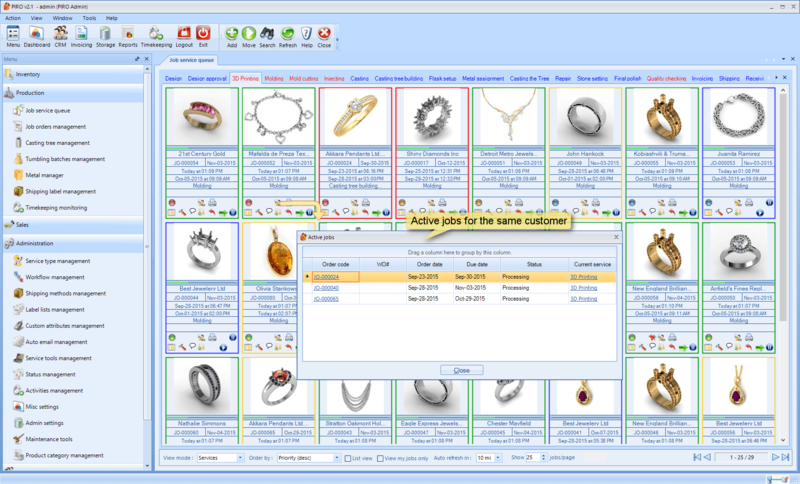 Finished or currently processing job orders can be reviewed filtered by ordering customers, date ranges and many more. 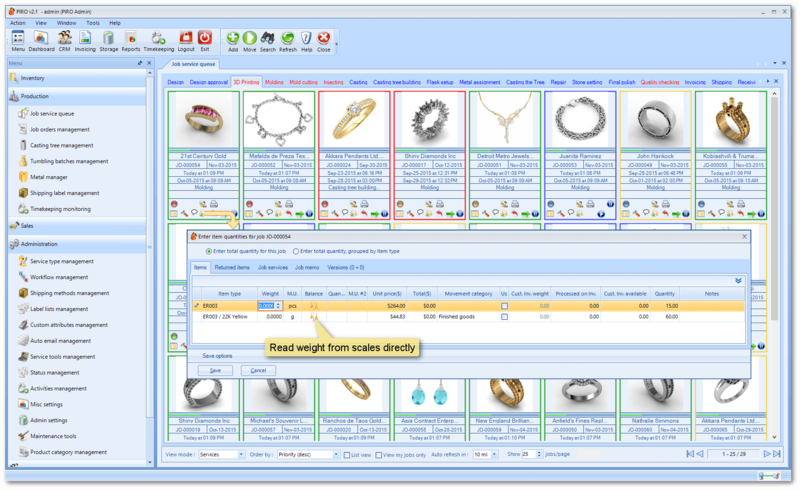 PIRO is a flexible, highly specialized ERP platform for the jewelry industry. As an introduction we would like to guide you through the system, giving you an overview of the automation process.